Structure-function analyses of enzymes involved in vitamin B6 biosynthesis and salvage pathways. Studies on the molecular basis of neonatal epileptic encephalopathy. Structure-function relationships and regulation of gene expression of pyridoxal-5’-phosphate-dependent transcriptional regulators in bacteria. Biochemical studies on serine hydroxymethyltransferase and its role in cancer metabolic reprogramming. Identification and characterization of potential inhibitors. Structure-function relationships and regulation of gene expression of pyridoxal-5’-phosphate-dependent enzymes. Angela Tramonti, Caterina Nardella, Martino L di Salvo, Anna Barile, Francesca Cutruzzolà, and Roberto Contestabile (2018). 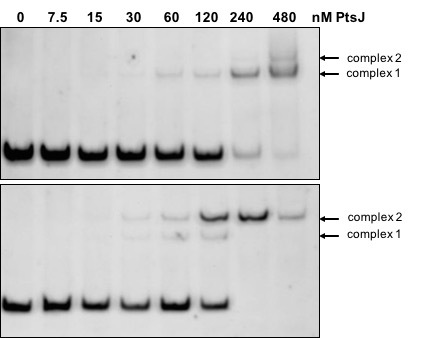 ”Human cytosolic and mitochondrial serine hydroxymethyltransferase isoforms in comparison: full kinetic characterization and substrate inhibition properties” Biochemistry. 2018 Nov 30. doi: 10.1021/acs.biochem.8b01074. Giorgio Giardina,, Alessio Paone, Angela Tramonti, Roberta Lucchi, Marina Marani, Maria Chiara Magnifico, Amani Bouzidi, Valentino Pontecorvi, Giulia Guiducci, Carlotta Zamparelli, Serena Rinaldo, Alessandro Paiardini, Roberto Contestabile and Francesca Cutruzzolà (2018) “The catalytic activity of serine hydroxymethyltransferase is essential for de novo nuclear dTMP synthesis in lung cancer cells”. FEBS J. 285(17):3238-3253 . doi: 10.1111/febs.14610. Angela Tramonti, Alessandro Paiardini, Alessio Paone, Amani Bouzidi, Giorgio Giardina, Giulia Guiducci, Maria Chiara Magnifico, Serena Rinaldo, Lee McDermott, Javier A.Menendez, Roberto Contestabile, and Francesca Cutruzzolà (2018) “Differential inhibitory effect of a pyrazolopyran compound on human serine hydroxymethyltransferase-amino acid complexes” Arch Biochem Biophys 653: 71-79. doi: 0.1016/j.abb.2018.07.001. Angela Tramonti, Caterina Nardella, Martino L di Salvo, Stefano Pascarella, and Roberto Contestabile (2018) “The MocR-like transcription factors: pyridoxal 5'-phosphate-dependent regulators of bacterial metabolism”. FEBS J. 285(21):3925-3944. doi: 10.1111/febs.14599. Martino L di Salvo, Mario Mastrangelo, Isabel Nogués, Manuela Tolve, Alessandro Paiardini, Carla Carducci, Davide Mei, Martino Montomoli, Angela Tramonti, Renzo Guerrini, Roberto Contestabile and Vincenzo Leuzzi. (2017) “Pyridoxine-5'-phosphate oxidase (Pnpo) deficiency: Clinical and biochemical alterations associated with the C.347g>A (P.·Arg116gln) mutation”. Mol Genet Metab 122, 135-42. doi: 10.1016/j.ymgme.2017.08.003. Angela Tramonti, Teresa Milano, Caterina Nardella, Martino L di Salvo, Stefano Pascarella, and Roberto Contestabile. (2017) “Salmonella typhimurium PtsJ is a novel MocR-like transcriptional repressor involved in regulating the vitamin B6 salvage pathway”. FEBS J. 84(3):466-484. doi: 10.1111/febs.13994. Davide Amidani, Angela Tramonti, Andrea Valeria Canosa, Barbara Campanini, Stefano Maggi, Teresa Milano, Martino L di Salvo, Stefano Pascarella, Roberto Contestabile, Stefano Bettati and Claudio Rivetti. (2017) “Study of DNA binding and bending by Bacillus subtilis GabR, a PLP-dependent transcription factor” Biochim Biophys Acta - General Subjects 1861(1 Pt A):3474-3489. doi: 10.1016/j.bbagen.2016.09.013. Alessandro Paiardini, Angela Tramonti, Doug Schirch, Giulia Guiducci, Martino L. di Salvo, Alessio Fiascarelli, Alessandra Giorgi, Bruno Maras, Francesca Cutruzzolà and Roberto Contestabile.. (2016) “Differential 3-bromopyruvate inhibition of cytosolic and mitochondrial human serine hydroxymethyltransferase isoforms, key enzymes in cancer metabolic reprogramming” Biochim Biophys Acta - Proteins and Proteomics 1864(11):1506-1517. doi: 10.1016/j.bbapap.2016.08.010. Angela Tramonti, Alessio Fiascarelli, Teresa Milano, Martino L. di Salvo, Isabel Nogués, Stefano Pascarella, and Roberto Contestabile. (2015) “Molecular mechanism of PdxR - a transcriptional activator involved in the regulation of vitamin B6 biosynthesis in the probiotic bacterium Bacillus clausii”. FEBS J. 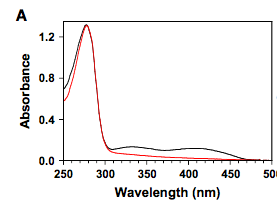 282(15):2966-84. doi: 10.1111/febs.13338. Angela Tramonti and Michele Saliola. (2015) “Glucose 6-phosphate and alcohol dehydrogenase activities are components of dynamic macromolecular depots structures” Biochim Biophys Acta - General Subjects 1850(6):1120-1130. doi: 10.1016/j.bbagen.2015.01.021. Martino L. di Salvo, Isabel Nogués, Alessia Parroni, Angela Tramonti, Teresa Milano, Stefano Pascarella, and Roberto Contestabile. (2015) “On the Mechanism of Escherichia coli Pyridoxal Kinase Inhibition by Pyridoxal and Pyridoxal 5'-phosphate” Biochim Biophys Acta - Proteins and Proteomics 1854(9):1160-1166. doi: 10.1016/j.bbapap.2015.01.013. Peter Lund, Angela Tramonti, Daniela De Biase. (2014) “Coping with low pH: molecular strategies in neutralophilic bacteria” FEMS Microbiol Rev. 38(6):1091-1125. doi: 10.1111/1574-6976.12076. 1994-1995: begins her laboratory experience at Department of Biochemistry, Sapienza University of Rome, working on the expression and biochemical characterization of pyridoxal-5’-phosphate-dependent enzymes. 1995: short visiting period at the “Institut fur Pflanzgenetik und kulturpflanzenforschung” (IPK), Gatersleben, German, supervisor Dr. Bernhard Grimm, with a grant from Human Capital and Mobility. She acquires competence in production of site-directed mutant forms of pyridoxal-5’-phosphate-dependent enzymes. 1996: grants from Sapienza University of Rome to work at the School of Molecular and Medical Biosciences (College of Cardiff, University of Wales, UK), supervisor Prof. Robert A. John. She acquires competence on enzyme kinetics. 1996-1999: during the PhD at the Department of Biochemistry (Sapienza University of Rome) she starts working on regulation of gene expression of glutamate-dependent acid resistance system in E. coli. She has broadened the expertise to the molecular biology and microbiology fields. 2000-2001: Post-Doctoral Fellow at the Department of Biochemistry, Sapienza University of Rome, with grants from the Faculty of Sciences. 2001-present: Researcher at the Institute of Molecular Biology and Pathology, National Research Council. Reviewer for several International Journals, including: PLoS One, BioMed Research International, Scientific reports, Plant Science, BBA-General Subject, Frontiers in Molecular Biosciences. Reviewer of grant proposals for: PISCOPIA Fellowship Programme co-funded by Marie Curie Actions (2014) and ANR (Agence Nationale de la Reserche) France (2018). She collaborated with Profs. Robert John (School of Biosciences, Cardiff, UK), Paolo Visca (Università di Roma Tre), Vincenzo Scarlato (Università di Bologna), Dr. M. Falconi (Università di Camerino), Prof. J. Luirink (Vrije University, Olanda), Prof. C Falcone and R. Sessa (Sapienza Università di Roma).